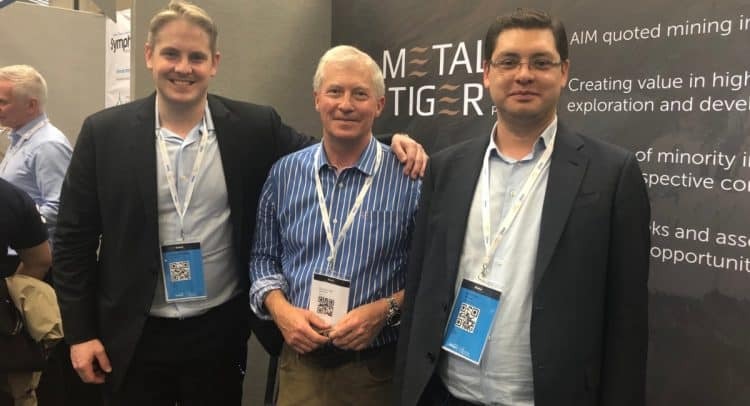 Metal Tiger plc (LON:MTR), the London Stock Exchange AIM listed investor in strategic natural resource opportunities, is pleased to announce that Kalahari Metals Limited (“KML”), in which Metal Tiger owns 50% of the issued share capital. Has entered into a binding agreement with Resource Exploration and Development Limited (“RED”), to purchase 100% of Kitlanya Ltd (“Kitlanya”) (together with KML, the “Parties”) (the “Acquisition”). Post completion of the Acquisition, Metal Tiger’s interest in KML will be diluted to approximately 43.9%. Kitlanya is a 100% subsidiary of RED and was previously subject to an Earn-in Agreement between the Parties (as announced on 30 November 2018). The Parties have now agreed to terminate the Earn-in Agreement and have executed a conditional Share Purchase Agreement on similar terms. KML has completed US$100,000 of exploration works on the licences held by Kitlanya and will acquire 100% of Kitlanya for US$700,000, satisfied by the issue of shares representing approximately 13.4% of KML as enlarged by the Acquisition. The transaction will value KML, post completion of the Acquisition, at US$5,200,000. The Kitlanya licences comprise five recently granted exploration licences and cover approximately 4,651km2 of well-located exploration tenure in the prospective Kalahari Copper Belt. The Acquisition will increase KML’s direct land position in the Kalahari Copper Belt to approximately 8,594km2. The Acquisition is conditional upon approval of the change of control of Kitlanya being granted by the authorities in Botswana and receipt of an updated letter of good standing for the licences. Further announcements will be made in due course. Metal Tiger intends to provide further funding to KML to support its drilling in Q2 2019 and further announcements will be made as and when appropriate. KML holds interests in 12 highly prospective exploration licences covering a total area of 8,724km2 in the Kalahari Copper Belt, consisting of two 100% owned exploration licences, five exploration licences, subject to a binding earn-in agreement with Triprop Holdings (Pty) Limited, and five exploration licences subject to a conditional Acquisition agreement with RED. The technical information contained in this disclosure has been read and approved by Mr Nick O’Reilly (MSc, DIC, MAusIMM, FGS), who is a qualified geologist and acts as the Competent Person under the AIM Rules – Note for Mining and Oil & Gas Companies. Mr O’Reilly is a Principal consultant working for Mining Analyst Consulting Ltd which has been retained by Metal Tiger PLC to provide technical support.